Whether this is your first time giving or you’ve been giving to the church for years, thank you for honoring God through your sacrifice! 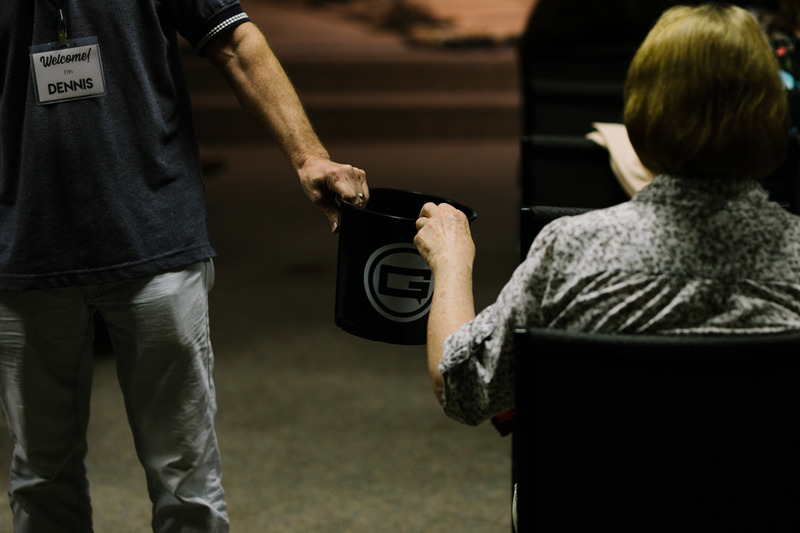 Giving isn’t always easy, but we give because God gave His Son for us! Thank you for your gift and for helping us Live out Our Mission! We give because it’s in God’s nature to give. As a church, we support over 100 missionaries and missions organizations in Michigan and around the globe! We also host several “Stock Up” events throughout the year where we give away backpacks, food, and hygiene products to people in need. We strive to be debt free as we help families and individuals live debt free as well. God has called us to be good stewards and to change the world through our generosity! Giving online is both simple and safe. If you’d like to give online, just follow the link below! Giving online is great, especially if you’d like to set up a repeated amount to give each month! Just follow the prompts on the link above! When you’re at service, you can also give using an envelope! Just fill out the information on the front of the envelope and drop it into the offering as it goes by. Text-to-give is a simple way to give. All you need to do is send an amount to 231-994-6114.